Light Opera of Portland (LOoP) announces the staging of Gilbert & Sullivan’s “Pirates of Penzance,” a favorite with audiences since its first performance more than 125 years ago. Performances will be held at the Multnomah Arts Center (MAC), 7688 SW Capitol Hwy, Portland, for six evenings and three matinees starting February 17, 2017. Friday and Saturday night performances are at 7 p.m. on Feb. 17, 18, 24, 25 and March 3, 4. Sunday matinee performances at 3 pm are on Feb. 19, 26, and Mar. 5. This high seas masterful, musical adventure, set off the coast of Victorian-era England, revolves around a dutiful young lad, Frederic, who was mistakenly apprenticed by his hard-of-hearing nursemaid to pirates, instead of pilots. On the eve of his 21st birthday, Frederic looks forward to breaking the bonds of his indentured servitude only to be foiled by a technicality. His leap-year birthday and an overdeveloped sense of duty keep him in the delightfully chaotic employ of a brash yet benevolent band of pirates. It is a tale for all ages, complete with swashbuckling hijinks, clueless cops, frolicking maidens, and a famously bumbling Major-General. Directed by Dennis Britten, a 55-year veteran of musical theater who also teaches theater at MAC, ‘Pirates’ is performed under the musical direction by Dr. Linda Smith, whose keyboard magic accompanies the performance. 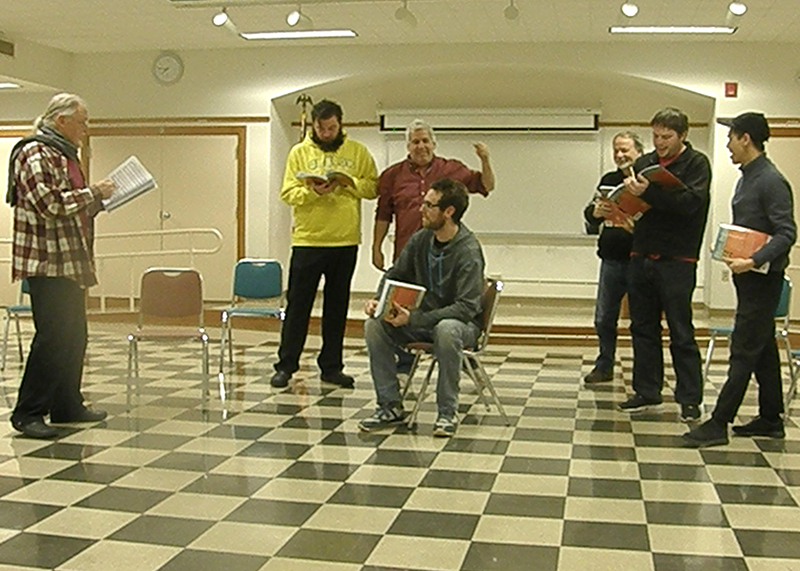 Leading cast members include Ron Swingen, in his seventh LOoP production, as Major-General Stanley; Jason Weed as The Pirate King; John Kost, who has sung with local choral groups including 15 years with Portland Opera, as Samuel; Jacob Mott, trained at the American Musical and Dramatic Academy in New York, as Frederic, Laurence Cox, familiar to Beaverton Civic and HART theatergoers, as Sergeant of Police; Soprano Lindsey Lefler in her 5th LOoP production, as Mabel; Soprano Lindsey Rae Johnson, with plenty of Gilbert and Sullivan experience including productions of Lamplighters Music Theatre of San Francisco, as Edith; Vocalist and cantor Barbara Berger as Kate; Linda Person-Patrick as Isabel, and Phyllis Fort, a seasoned performer from Phoenix in her 6th LOoP production, as Ruth. About LOoP: Now in its sixth year, the Light Opera of Portland is one of the very few resident musical repertory companies in Oregon. As much an extended family as a group of players, the troupe brings together talented cast and crew members to perform live light opera and musical theatre productions, specializing in the works of Gilbert & Sullivan. Outside of creating a fantasy world on stage, a few LOoP players have real world jobs that are a bit less fanciful, including an insurance agent, a public health manager, an accountant, a policeman and a forest cartographer. More information is available at www.lightoperaofportland.org. About MAC: The Multnomah Arts Center (MAC), located at 7688 SW Capitol Hwy, Portland, OR 97219, provides excellent arts education in the visual and performing arts at an affordable cost to students of all ages. MAC offers programs in music, movement, dance, theater, woodshop, literary arts, conditioning, metal arts, mixed media, printmaking, drawing, painting, photography, ceramics, sculpture, textiles and more. Programs run year-round, and scholarships are available. Along with a vibrant arts education program, MAC hosts theater, music and dance performances, gallery exhibitions and other special events.